Start with us in your piece of freedom, because nothing else means the driver's license. 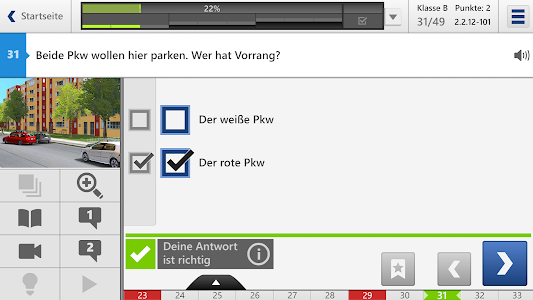 As a driving student you got the online training "Learn to drive" from your driving school? For optimal preparation for your driving license, download the app now. The Driving Learning App is for you inclusive. Learn with the test winner! 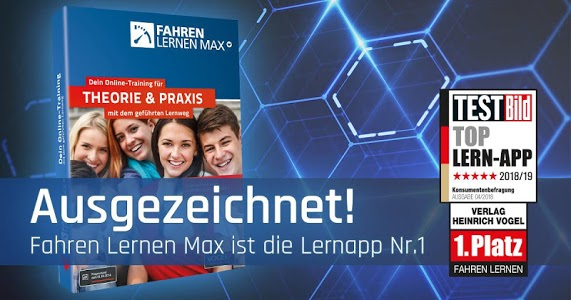 According to TESTBILD and Statista, we are 1st in the categories Learning Apps General, Learning Effect and Service & Support! 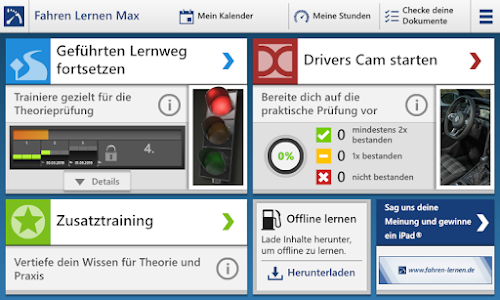 For the app you need a valid access to Driving Learning Online Training. No access yet? Then have your serial number ready and go to "Register now" in the app. 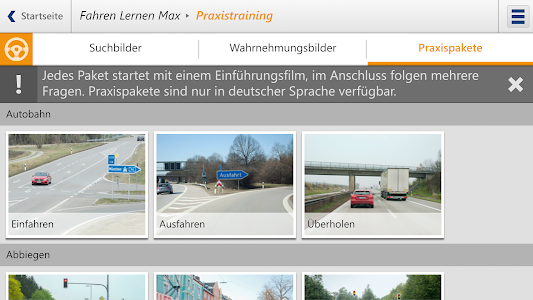 You can get your serial number exclusively in driving schools all over Germany. No matter whether you are learning at home on the computer or on the road in the app, your learning status is automatically adjusted. You always continue learning where you stopped with your driver's license preparation. With us always more up-to-date! With us you will learn exactly the official questions that await you in your driving licence theory test - even in the 12 official foreign languages! 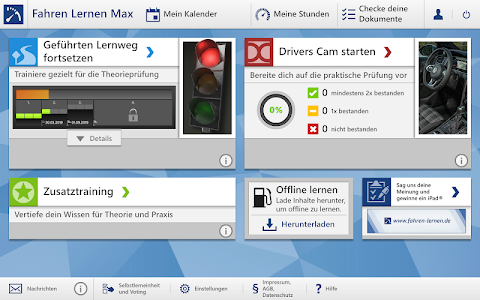 We are an official license partner of "TÜV | DEKRA arge tp 21", which provides the questions and translations. Trust the market leader in driving school media: Millions of driving students have achieved driving theory with us and you can do it too! With us you'll get the hang of it thanks to various learning aids such as accompanying book, videos, animation trainer with all video questions, variation trainer with changing image and video questions, practice packages and more. 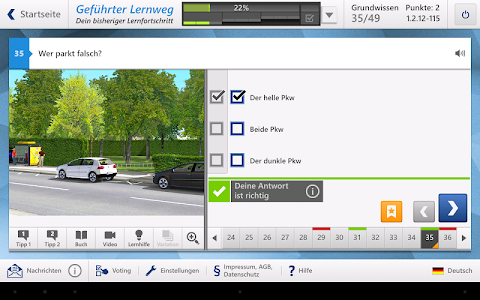 We wish you a lot of fun with your driving licence training! A mobile Internet connection. We recommend a mobile flat rate or WLAN use. This may incur additional provider-dependent costs. The app contains media content such as pictures, videos or accompanying book pages. 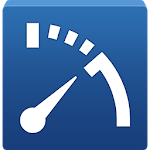 Download the pictures and videos to save your mobile data volume! Decide the quality yourself. For this you should be in the WLAN. You can find the cache function in the settings. The range of functions can vary per product, class, foreign language and platform. Technical changes and errors excepted. The illustrations and descriptions are from the version Learning to Drive Max Class B.
We’re constantly improving the app for you. 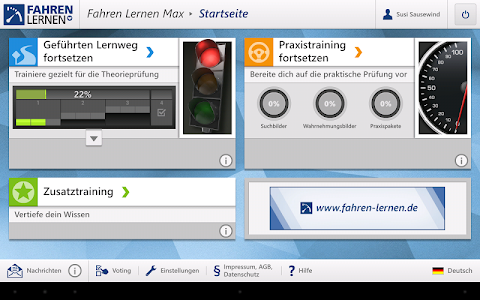 Similar to "Fahren Lernen - Your driver's license training"